When divorced parents are asked what part of the experience was hardest to confront, most will respond that the impact the divorce had on their children was most difficult. A number of studies have shown that children thrive best in two-parent households that divorce suddenly and permanently takes away. However, parents still have the ability to mitigate this negative impact with proper intervention and long-term planning. Shared child custody, the situation most divorced parents face, presents many logistical and financial challenges for the adults. Moreover, shared custody can be emotionally upsetting the child. 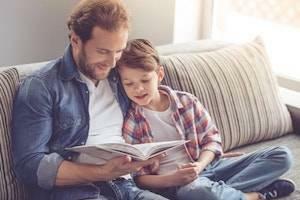 To minimize the likelihood of future disputes between ex-spouses and to better protect the well-being of the child, advanced long-term planning should be a large aspect of any parenting plan or custody agreement and should be executed as part of any divorce or legal separation. Advanced planning presupposes the parties mutually and privately agree on terms that will govern the exercise of parental responsibilities. While parties do have the option of allowing Courts to decide this issue for them, a Judge can never fully know the unique needs of each family, nor have the capacity to address every potential concern of each parent. When the divorce process is put into motion, sudden and abrupt shifts in the structure of the affected household shortly follow. As a parent/spouse moves out of the home, those left behind must figure out how to adjust to this new reality. Children are known to struggle with these drastic changes in living situations, and the focus of divorcing spouses are, understandably, geared towards making the transition as easy as possible. 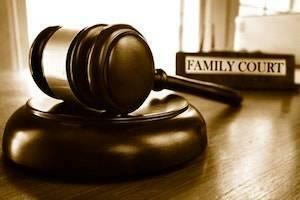 Child custody, generally, is a big facet of many divorces. However, another member of a household that can be overlooked in the shuffle — one that still feels the impact of the divorce — is the family pet. 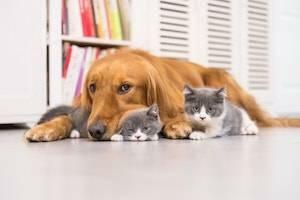 How central the family pet is to a household varies greatly from family to family, but deciding which spouse will have primary responsibility for the animal's care can be a hotly contested issue. Americans, in general, place a high degree of importance on their pets that is reflected in the amount of money consumers annually spend on pet-related purchases — $66.75 billion in 2016. Recognizing the new status of pets as full family members in many households, as well as the difficulties of determining which spouse will retain possession in a divorce, the Illinois Legislature passed a Bill that addresses this issue. The Bill is currently awaiting the governor's signature, and would provide clarification and direction to Courts when pet custody is unsettled. 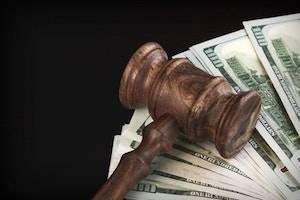 Disputes over child support from separated or divorced parents are fairly common, and each party has a legitimate stake in convincing the other why the money is being properly or poorly spent. Despite these disagreements, most parents ordered to pay child support realize the importance to the child's well-being, and continue to pay support regardless of contention with the other parent. However, circumstances do arise that directly impact a parent's ability to pay child support, such as job loss and serious illness, and he or she may be motivated to ask a Court to modify the child support obligation to a level that is financially feasible. Usually, constraints on a parent's ability to pay are connected to situations that engender some degree of sympathy or understanding. Still, some facts push others to have little to no compassion for the financially-strapped parent. One circumstance that squarely fits within this group are those parents who are incarcerated. People do not typically end up in jail or prison for following the law, but one obvious and serious consequence of incarceration is the inability of many of these parents to pay child support. Divorce is unavoidably difficult for people, both inside and outside of a couple's core family. However, children almost universally suffer a negative impact from divorce. Having a sibling to commiserate with and draw support from can help to mitigate the damaging effects. Still, this system of shared support can only work if siblings live together, or at the very least, visit regularly. Splitting up siblings in a divorce is rarely the best or desired option for the children involved. However, for practical or legal reasons, sibling separation may still occur. Large families, blended families with half-siblings, and children with significant age differences are all examples of circumstances in which the children may be split between each parent. The best interests of the child are always at the forefront of child-related family law cases, and Illinois specifically wants to enable separated siblings to maintain regular contact. 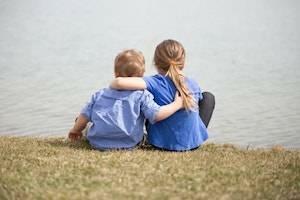 Sibling relationships are special and important to each child's emotional and psychological development. To support these relationships, Illinois authorizes Courts to order visitation if a parent is preventing contact. Consider the following information with regard to when and how visitation will be granted by an Illinois Court. Any couple that enters the divorce process must contend with the fact that their marriage is over, and the image they had of the relationship is over. Regardless of the specific circumstances that led to the decision to dissolve the marriage, divorce typically requires the parties to address certain basic issues. However, some couples present unique circumstances that have a direct and significant effect on the proper approach to divorce itself and the specific issues that are likely to be contentious. Couples with high net worth, especially, fall into the category of individuals who need a specific and personalized strategy to make the divorce process as streamlined and effective as possible. Couples with considerable wealth have a lot to lose due to the complex and unique financial issues they bring to such cases. 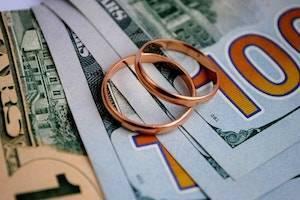 If divorce cases of this kind are not properly handled, the need for additional costly litigation is greatly increased. By focusing on the correct issues, however, all areas of disagreement can be satisfactorily settled within the initial divorce petition. Raising a child requires both parents to compromise on key issues that form the basis of the child's core values. Even parents who have similar child-rearing philosophies are bound to have areas of disagreement. Education, medical care, extracurricular activities and friends are all areas in which parents are apt to conflict. However, one matter that has the potential to provoke the strongest reaction is religion. Navigating this issue as part of divorce and child custody decisions can be difficult, especially if each parent subscribes to a different religious practice. As more people now appear to be entering into inter-faith marriages, legal resolution of disagreements over a child's religious upbringing may become more common if these marriages end in divorce. The recently announced divorce of Janet Jackson from her husband of four years is one example of a divorcing couple in this situation. Jackson was raised as a Jehovah's Witness, while her husband is a practicing Muslim. These two belief systems could lead to a protracted fight in Court if the parties strongly defend their positions. Illinois specifically requires the issue of religion be addressed in a parenting plan or in the Court's allocation of parental responsibilities, if the parties cannot reach an agreement. The process of divorce, from beginning to end, is different for everyone. 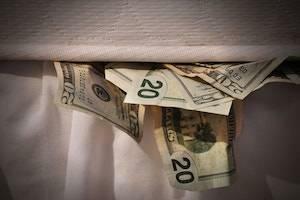 Few couples rarely jump to ending a marriage at the first sign of trouble. However, couples who enter divorce must decide at some point that the marriage is not salvageable. 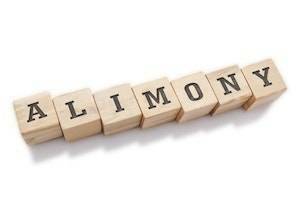 Legally dissolving the relationship may be the best decision. Once the decision to divorce is made, the hardest part of the process may seem over, yet filing a divorce petition and proceeding through the legal system is not as seamless as one may think. First, one must determine where he or she is eligible to file for divorce, and in which specific courthouse to file the papers. 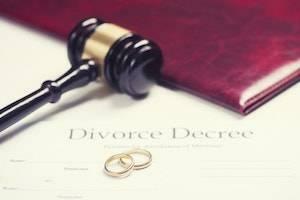 Someone seeking divorce cannot simply walk up to any Court in the state to file the necessary documents. At the very least, residency and venue requirements must be satisfied before a Court will accept a person's petition for divorce. Residency and venue issues are the gateway to starting the divorce process. Yet while these issues are straightforward for most couples, others may have reason to challenge the opposing party's claim. 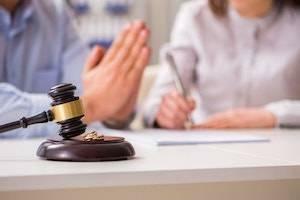 Consider how to establish residency and determine venue for purposes of divorce, as well as when someone may want to dispute these issues. Disputes over child custody and visitation between parents are an unfortunate but common occurrence. Further, when parents separate or divorce, the impact is felt far beyond the core family unit. Relatives and friends often lose valuable and important connections in the aftermath of these decisions, however necessary and well-intentioned. The significance of some of these relationships between a non-parent adult and the child can sometimes be enough to motivate the other adult to explore the possibility of seeking visitation or custody rights if there is a fear that contact will be cut off. However, the law is not especially keen to award parental responsibilities to non-parents, and great pains are taken to limit when exceptions to this policy may apply. Parents are viewed as the primary and best source to raise a child, and other adults are always considered a last resort. 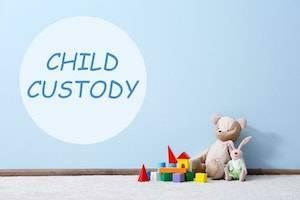 Consequently, non-parent adults are generally unable to receive custody rights over a child, absent extenuating circumstances. A recent example of this policy is evident in the denial of a grandmother's petition for guardianship over her young granddaughter. The child's mother is serving a prison sentence in Bali for murder, but the Court said that even in this situation, the mother's consent to guardianship was necessary. However, Courts are permitted to make exceptions for certain parties seeking custody under specific circumstances. Raising a child is no small task, and includes an incredible amount of responsibility. 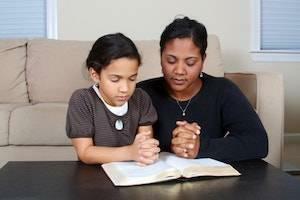 Most parents try, and have a vested interest in, basing their decisions on what is best for their child. This selfless tendency is part of the reason why the law favors awards of shared parenting time between parents in divorce or paternity proceedings. Children thrive most when both parents play a large and consistent role in their lives; though in practice, one parent usually provides the majority of the childcare. However, Courts have the authority to deviate from the shared model when circumstances warrant such a decision, including and up to giving one parent sole physical and legal parental responsibilities of the child. Even if one parent is given sole responsibility, the other is usually granted some degree of visitation and communication with the child to prevent the total loss of a parent. This type of restricted visitation is used when the child's safety or development is threatened, but the parent with primary responsibility for the child cannot impose or deny visitations without a Court order, even if his or her concerns are legitimate. Balancing work and family following divorce is bound to involve many challenges and tradeoffs, particularly when child custody is shared. The logistics of transferring a child between parents and households is often tricky, especially as the needs of the child change over time. These difficulties exist when parents live in close proximity to one another. However, they are greatly magnified by distance. Once state lines are crossed, visits may become less frequent. Visits may also last for days or weeks on end instead of just one weekend. When distance is a factor in visitation, one concern that either parent may have is enforcing the terms of the parenting plan. If a parent decides to withhold visitation, limit communication, or refuse to return the child as agreed upon, then the other parent will likely need to initiate legal action to force the other parent to comply. Still, with parents accessing Courts in different states, the possibility exists that Courts could issue conflicting custody orders resulting in the child pinging back and forth between parents. This situation is not in the child's best interest, and 49 states, including Illinois, have passed a uniform law that governs how Courts should treat custody disputes that cross state lines. A complex divorce tends to center around conflict and is related to two key issues — parenting responsibilities and property division. Both parties have a lot at stake and are invested in each matter. Hence, each party has much to lose if the outcome is not in his or her favor. 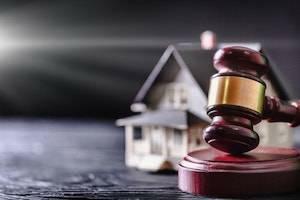 Specifically, with regard to property division, the number and type of property that is potentially subject to division can require a complicated analysis to determine if the property qualifies as marital and what the likely value is for that property. While one spouse may think he or she has a complete picture of all the property owned by the other party, analyzing and verifying the information listed in the mandatory financial affidavit must serve as the starting point for division. The issue of property valuation is particularly important in divorces where considerable wealth has accumulated during the marriage. Securing proper valuations of all marital assets is crucial to ensuring that the division of property is fair and will provide the income/financial resources as intended.